Remember this? 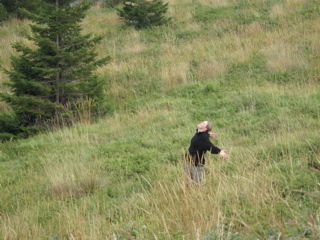 ?When I pretended to be Sound of Music on Vitosha Mountain?? Well, I’m off to re-live the moment, except in the actual country…kind of. We are heading to Austria–I’ll wait while you locate it on the map–in the morning (tonight your time in the States). Only, we won’t actually be re-living the Sound of Music. We will be skiing for the next 8 glorious days at this place. Mark is fulfilling his lifelong dream to ski the Alps, or ski anywhere in Europe, and since we apparently brought all the San Diego sunshine to Bulgaria, we have to leave the country to find any snow. Oh yeah, and because our tourist visa expires tomorrow, we HAVE to leave the country. Ah, the joy of the visa…forcing a ski vacation down our throats. So, the blog will be empty for about a week and a half. How will you fill the time? Well…check out the pictures in the Gallery if you haven’t done so recently, try a Sudoku puzzle, visit the Logan Elementary web site and see what’s new there, post some comments here so I can read them when I return, go read other people’s comments…..just some ideas. But come back in a couple of weeks. I’ll be up and blogging again, with fresh pictures from my Olympic ski career, or the leg cast–whichever happens first.